We at Bernard Stuczynski Barnett & Lager are proud to announce that our newest partner, Matt Lager, has been named as Erie County’s “Outstanding Pro Bono Lawyer” of 2017 by the Erie County Bar Association and by Northwestern Legal Services. 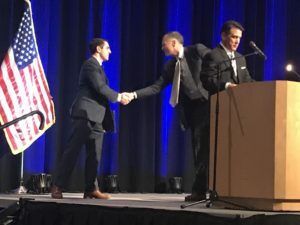 In earning this achievement, Matt Lager follows in the footsteps of fellow partner, Adam Barnett, who was similarly afforded this great honor in 2015. 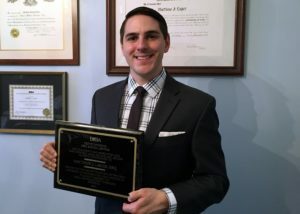 This award was presented at the ECBA’s annual Law Day Luncheon, of which this firm is a proud sponsor, where keynote speakers Attorneys Dean Strang and Jerry Buting, defense counsel for Steven Avery in the hit Netflix series, “Making a Murderer, spoke about their involvement with the trial and with the legal problems facing indigent defendants across America. In addition to providing excellent legal representation to our clients, Bernard Stuczynski Barnett & Lager is dedicated to giving back to the Erie Community through the Erie County Bar Association’s Legal Aid Volunteer Attorneys (LAVA) Program, administered through Northwestern Legal Services. If you are in need of legal representation, do not hesitate to contact our office. If we can’t help you, we can certainly point you in the right direction. Can I work while on Social Security Disability Benefits?